The Minister of Infrastructure and Transport Christos Spirtzis announced that 30 million euros worth of NSRF funding has been secured for the purchase of 500 buses, in order to cover needs. According to the Infrastructure and Transport Minister urban transportation map for Athens will be redesigned in order to provide better and more efficient services. The electronic ticket system will come into effect in 2017, with the Minister expressing his hope to expand the system to the Metro and other means of transportation. Mr. Spirtzis also noted that approval is being sought for the recruitment of 800 drivers, technicians and conductors. “When the current government took over, of the 2,367 buses in Athens 800 were out of service. In 2016 we reduced that figure to 500 buses” the Minister noted in Parliament, explaining that bureaucracy and red tape had hindered tender procedures. Indicatively, the tender for 110 million euros worth of diesel fuel began in 2010 and concluded in 2016. 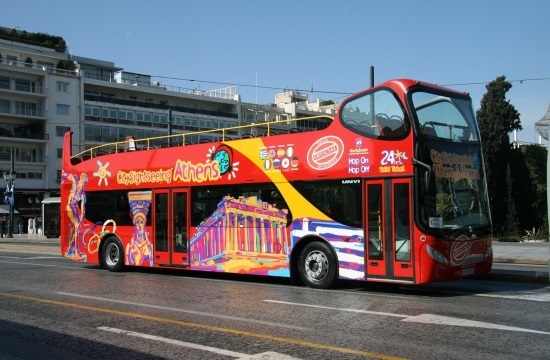 In concluding, the Infrastructure and Transport Minister revealed that a legislative initiative has been drafted to allow the operation of double-decker buses in Athens. The statements came as a response to a question by River MP Spyros Lykoudis.